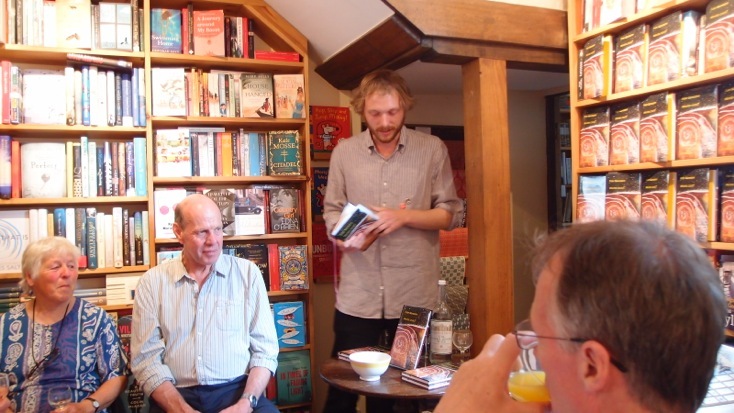 We had a lovely evening in the shop yesterday to celebrate the publication of Peter Naumann's Winter Count. Pete worked in the shop for the first few years after we opened and it was a huge pleasure to welcome him back as a published poet. He read his poems so well and also gave them very interesting introductions - the winter count of the title poem, for example, refers to the pictorial histories of significant events during the year made by American tribes - see the picture below, an image reflected on the cover of the book in a picture by Pete's mother Anouk. 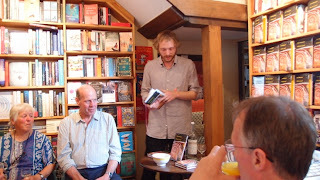 Independent Booksellers' Week was very busy here - 3 talks and two school events, plus a sale. Mrs Milne won the draw for a £20 book token. I spent Friday with Natasha Farrant visiting schools. First we went to Woodstock Primary School where she answered questions from the Year 5 and 6 book groups I have been running this year - about writing in general and her own writing in particular. In the afternoon we went to Oxford High School where she gave a talk and workshop. 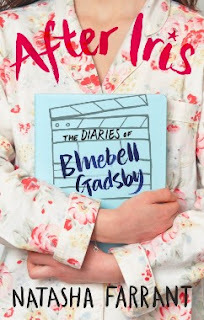 After Iris is her latest book, just published by Faber, and is an account by Bluebell Gadsby in her own words and also through a video journal and filmscript of her family's ups and downs following the death of her twin. It is, above all, a novel of love and family and growing up - sad in places, but also very funny.